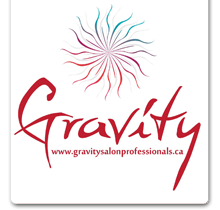 Ivo is a Master Colourist and Stylist, and is the owner of Gravity Salon Professionals. Ivo has been a licensed stylist for 34 years, but has had a deep passion for the industry for even longer than that. Alongside being a well-respected Master Colourist and Stylist, Ivo has also been an educator for both Goldwell and KMS, using his passion and knowledge to help bring new creative ideas and concepts to experienced stylists. Ivo has taught a multitude of different courses, including the Hair Sciences program, where he taught fellow stylists about colour placement, creative colour techniques and 3D advanced colour wheels; as well as the Hair Mentorship program where he actually taught other stylists how to be teachers themselves. It comes as no surprise that Ivo is considered to be a mentor in his industry and is a go-to person for advice both because of his extensive talent and knowledge, and his warm and welcoming personality. Ivo loves pampering every single one of his clients that walks through the salon door, and one of his favourite feelings is watching a client light-up after seeing the new look that they wanted – with a super stylish twist, of course! Ivo is always extremely welcoming of new clients and loves experimenting with trendy new cuts, colours and styles on all types of hair. To see what Ivo has been up to, view his photo gallery here. Jamie Dennis is one of Gravity’s day-one Master Colourists and Stylists, alongside salon owner, Ivo Tiberio. The dynamic duo have worked together both in the salon and in Goldwell’s educational setting for over 20 years, and they are still going strong! Jamie is part of Goldwell’s North American Artistic Team and travels all over Canada to teach fellow stylists about creative colour placement techniques for anything from subtle balayages to bright Elumen shades. Jamie has created multiple successful educational programs for Goldwell that have been used to teach professional stylists at the Goldwell Academy for more than a decade, and actually created Goldwell’s longest-standing Canadian education program. Alongside teaching in North America, Jamie’s talent and skill helped her to make it to the semi-finalist position three times in Goldwell’s biggest international hair competition, Colorzoom, and has also taken her across the pond to Berlin, Germany, where she represented Canada in the Colorzoom finalist round. Jamie is very busy when it comes to being a Stage Artist and a Goldwell Educator, but she is equally as dedicated to the work that she does inside the salon. Jamie is a well-rounded stylist who loves every step of the process from applying colour and helping her clients relax with a soothing shampoo treatment to giving them a bouncy blow-out; but she is especially skilled in cutting and styling curly and textured hair. Jamie is also an Elumen specialist and loves mixing and creating new colour hues on her clients. Another thing that Jamie’s clients love about their visits to the salon, is that she has a personalized lounge where they can sit and relax in silence and have quiet conversations with their stylist, creating a more intimate experience than you would get at your typical hair salon. Jamie loves meeting friendly new faces and is always open to accepting new clients, so call the salon today to book in your personal styling experience with Jamie! Click here to find out more about Jamie. Esther Timewell is a Canadian-Korean Red Seal Interprovincial hairstylist with over 20 years of experience. Alongside being an experienced and professional salon stylist, Esther is an educator for KMS Canada. As part of her job, Esther teaches other stylists how to use a multitude of their salon and retail products, and how to maximize their effects on all kinds of hair types. Being a KMS Educator not only allows Esther to spread her wealth of knowledge to her colleagues in the industry, but it also ensures that she keeps herself current with the latest global trends and extensive up-to-date product knowledge, something that she truly prides herself on! Esther is passionate about all aspects of her job, but some of her favourite things to do are haircuts and colours, especially short hairstyles and texturizing. She also loves to create special event up-styles, as well as permanent wave styles and Kerasilk smoothing treatments. Esther knows how to pay close attention to detail, and always knows just what to do so that her clients leave the salon feeling their absolute best! Esther has lived in Barrie for 10 years with her husband and her French Bulldog, Archie. Esther loves to give back to the Barrie community, and helps out with a number of local charities and organizations in support of both women and animal welfare. Whether you are an old client or new, Esther will welcome you into her salon chair and make you feel comfortable with her warm smile and a great sense of humour! She is personable and a great listener and she always goes the extra mile to get to know her clients on an individual basis. Esther always takes the time to fully understand what her clients need, and utilizes her professional skills and knowledge to deliver nothing short of their hair goals! Click here to learn more about Esther. Stacey Baldwin has been a Senior Stylist and Colourist for over 10 years. Stacey has a wide range of skills, but one of the things that she prides herself on the most, is her keen eye and ability for cutting naturally curly hair. Having curly hair herself, Stacey knows just how hard it can be for someone to take the time to truly understand her hair and how to work with it, but she has proved to her clients time and time again that they can trust her to listen to what they want, and to deliver amazing results. Stacey also has the amazing ability to create vibrant and natural-looking blonde shades, and is always open to and enthusiastic about working with any hair colour or type. Whether it is highlights, balayage or an all-over shade, Stacey understands how important the placement of colour is and makes great use of her skillful eye to get that perfect tone every time! Stacey’s absolute favourite thing to do though is hair transformations, and she is always eager to use her talent to give clients a complete hair overhaul. Stacey is a dedicated listener who always pays close attention to what her clients want, and uses her professional opinion and experience to guide them in the best direction for their personal needs. Stacey is both professional and personable and welcomes all of her clients, new and old, with open arms and a warm smile. Click here to learn more about Stacey. Lindie Blackwell is a 10-time award winning Master Colourist and Stylist, who has a creative eye like no other! Lindie is part of the Goldwell Global Artist Team, where she continues to travel all over the world to teach seminars, participate in live, on-stage hair shows and to help promote and launch new Goldwell products. She is also a colourist for Goldwell’s Ad Campaigns, one of her most recent ones being Goldwell’s new Iconic Brunette Line. Aside from that, Lindie has worked Goldwell’s biggest colour competition, Global Zoom, for four years in a row, starting in Las Vegas, then heading to Stockholm, Barcelona and Toronto! Lindie is absolutely a valuable asset to the Goldwell team, and an even more valuable asset to Gravity Salon. Between her jet-setting and teaching engagements, Lindie still always finds the time to come in and look after her valued clients. Whether it is maintaining their signature look, adding some flare to clients who want a small change, or completing a total hair transformation, Lindie uses her professional training and years of experience to give clients what they want, in a version that is best-suited for them. Lindie enjoys creating beautiful natural pigments just as much as she likes mixing cool and fun new colours, so no matter what you are looking to accomplish, she will be able to do it while exceeding all of your expectations. Click here to learn more about Lindie. Shanna Rose is a Senior Stylist and Colourist who has been a part of our Gravity Salon family for four years, but who has been paving her way in the hair industry since she was 14-years-old. Shanna is passionate about expanding her wealth of knowledge when it comes to colour and styling, and is always enthusiastic about continuing her education to ensure that she delivers the best results possible to her clients on every single visit. Shanna has taken a number of educational courses both before and during her time at Gravity, including multiple hair painting and balayage courses, a three-day KMS Hair Cutting course, and a number of other colour courses to broaden her knowledge of colour use, placement and technique. Shanna also has an adventurous soul, and travelled across the pond last year to Barcelona with some fellow colleagues to Goldwell’s Biggest Hair Competition, Colorzoom. Even though Shanna has only been at Gravity for four years, it feels like she has been here forever! Shanna has grown significantly as both a stylist and a person since she’s been at Gravity, and has made some amazing lifelong friends. Shanna has a 15-year-clientele that she has held onto because of her amazing skills and her warm loving personality, and has picked up so many more loyal clients during her time at Gravity Salon. Shanna is professional but so personable and fun-loving, and will always welcome you into her chair with a huge hug and a smile. Shanna is always open to taking on new clients and trying new things, and especially loves hair colours, highlights and fun, new haircuts! Shanna is full of love with lots to share, so call Gravity today to book your appointment with her! Experience the satisfaction that comes with a great new look from Shanna at Gravity Salon Professionals. Click here to learn more about Shanna.